The National Health Service (NHS) is one of the biggest employers in Europe and employs more than one million people in a surprising variety of jobs. More than 60 different categories of professionals work at this Trust and we employ about 7,000 staff. 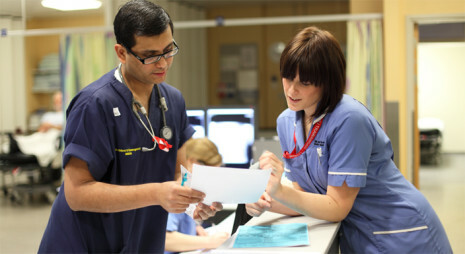 Each and every member of staff plays a vital role in providing the healthcare needs of up to 850,000 people locally. We strongly believe in flexible working and family-friendly policies that enable staff to have a rewarding work life, and a home life. From Anatomical Pathology Assistants to Sterile Services Support Workers, the range of jobs is vast and the rewards are many. Visit our latest vacancies page or find out more about the range of vacancies available within the NHS on the links provided.